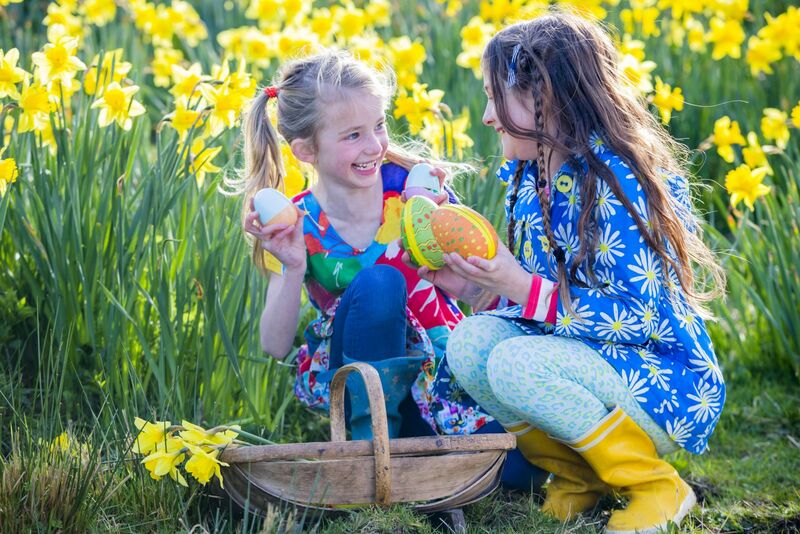 Gardens, parks, attractions and even houses will be scattered with Easter eggs this March and April as eagle-eyed youngsters go on the hunt for these oval shaped objects, and hope for a surprise and a treat! Christmas isn’t the only time of year when people dress their doors with decorative wreaths. 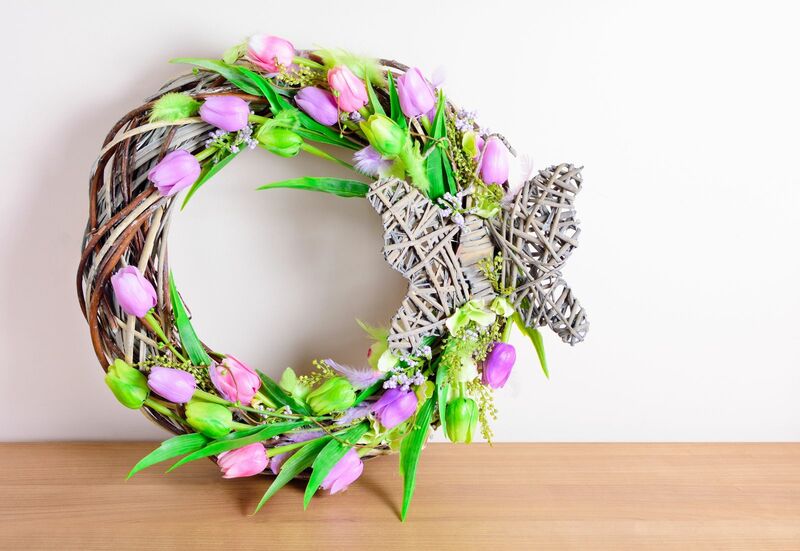 A recent trend has seen many people sprucing up their front doors with displays of bright colour and spring materials in the shape of an Easter wreath! Creating one is really simple and something the children can add an extra special little touch to. Take a look at Pinterest for some inspiration on materials and design. Decorate the walls and window frames with these bright little bunnies. To make: buy a variety of patterned card, place a basic bunny template on top of each piece of card and draw around it. Cut this out and glue on a small ball of cotton wool for a tail. 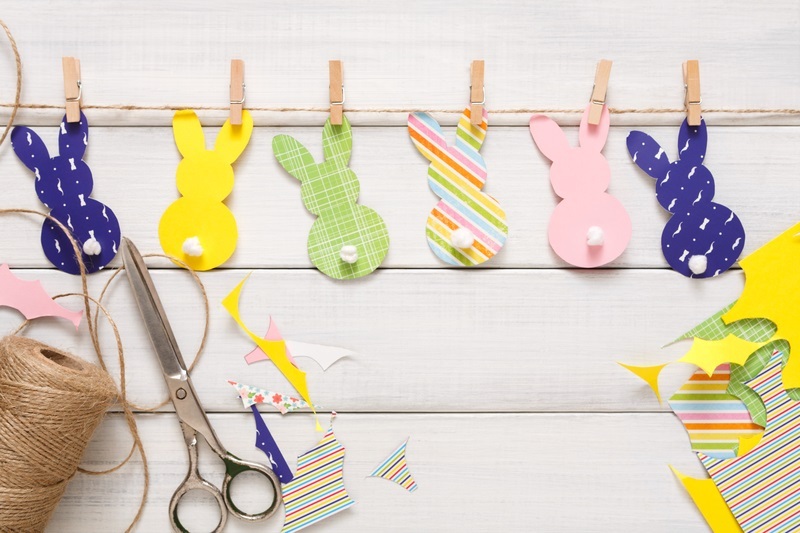 To finish, attach each bunny to a natural piece of string using mini wooden pegs. These funky-looking lambs will look a treat perched on a mantelpiece or sideboard. Plus they’re so easy to create – simply roll small pieces of cotton wool into balls and glue these to the surface of the egg. Cover the whole egg with cotton wool, leaving a space at the front where you can add a funny face! Very young children may wish to use hard-boiled eggs, whilst slightly older-children may use hollowed-out eggs. Cover the smooth glass-like surface of egg with acrylic paint. Using a mixture of soft brushes, coat the egg in a base colour. To add detail, use a fine brush dipped in paint or glitter, or use finely-tipped pens. Crumble up the Shredded Wheat in a bowl. Then melt the cooking chocolate in a separate bowl placed in a pan of boiling water. Carefully remove the bowl and slowly pour the melted cooking chocolate over the crushed Shredded Wheat. Combine together. Then get the kids to shape the mixture into nests in the cake cases. 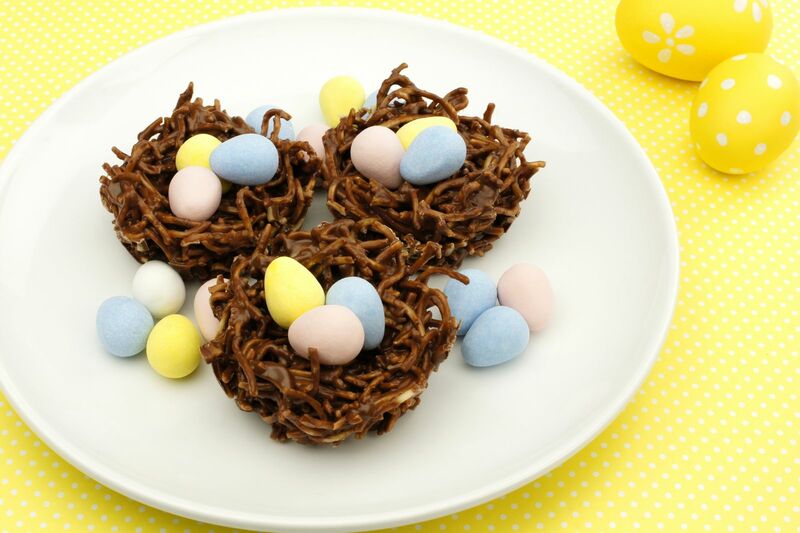 Finish, by placing 2 or 3 chocolate mini eggs onto the top of the cooled down nests. So, why is Easter on a different date each year? Have you ever wondered why Easter falls on a different date each year? Well, the reason for this lies with the decisions made by the first council of the Christian church, also known as the Council of Nicaea, in the year 325 AD. This council used a complex formula to calculate the future dates of Easter. The council decided that Easter should be celebrated on the first Sunday after the full moon that occurs on, or just after, the spring equinox. The church set a fixed date for the spring equinox as 21 March and established that Easter can take place between 22 March and 25 April. This year, Easter Sunday is on 21 April. Yet, this year, the full moon and the spring equinox actually occur on Wednesday 20 March. So, shouldn’t Easter be held on Sunday 24 March instead? Astronomically speaking, yes it should. However, the ancient calculations did not consider lunar motions for our times. The key point here is that an ecclesiastical full moon does not necessarily happen on the same date as the actual full moon. 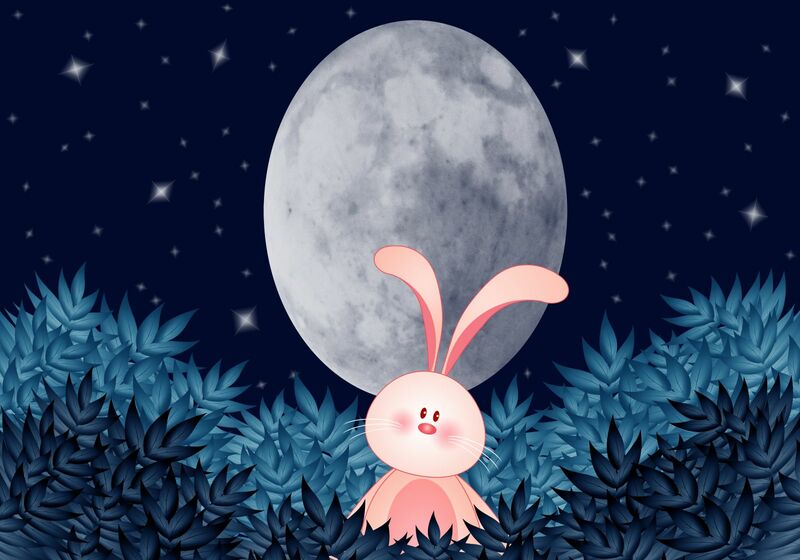 In 2019, the first full moon after 21 March occurs on 19 April, so consequently Easter will be celebrated on Sunday 21 April. The Easter Egg Hunt is usually pretty-high up on the Easter activity list but what are the alternative options to searching for chocolate eggs? Test your child’s auditory processing ability by creating a game that will encourage them to match a sound in an egg case to an image of the item that is making the sound (in the egg case) on a printed sheet of paper. You can fill the egg cases with items such as coins or pasta shapes or seeds. Once all the eggs and sounds have been matched, the children can be rewarded with a treat. Make the Kids Work for their Chocolate Treats! 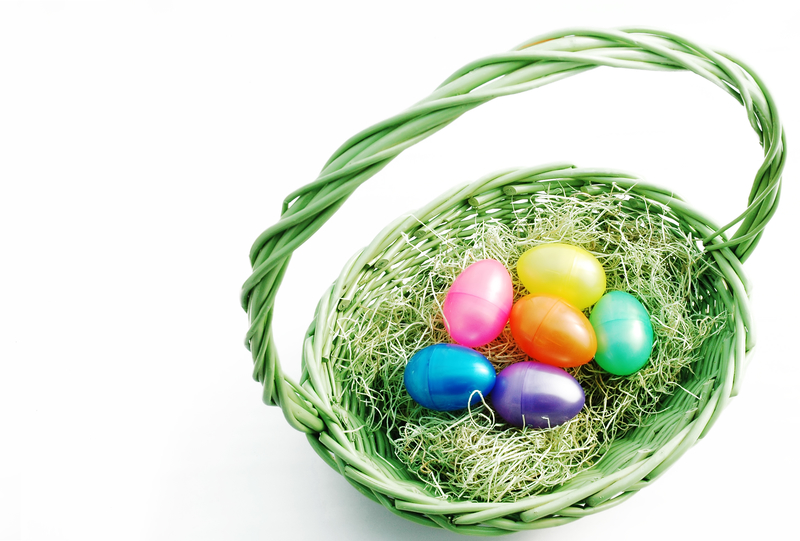 Lay on some fun energy-burning Easter egg hunts for the kids. Simply hide several plastic empty egg cases around the house, garden or local park and fill them with little notes inscribed with a physical activity to complete. Each egg has a fun mini exercise challenge for the kids. For example, this could be: do ten star jumps; run on the spot for 2 minutes, do a roly-poly. After all that exertion, the kids will have earnt their chocolate treat! 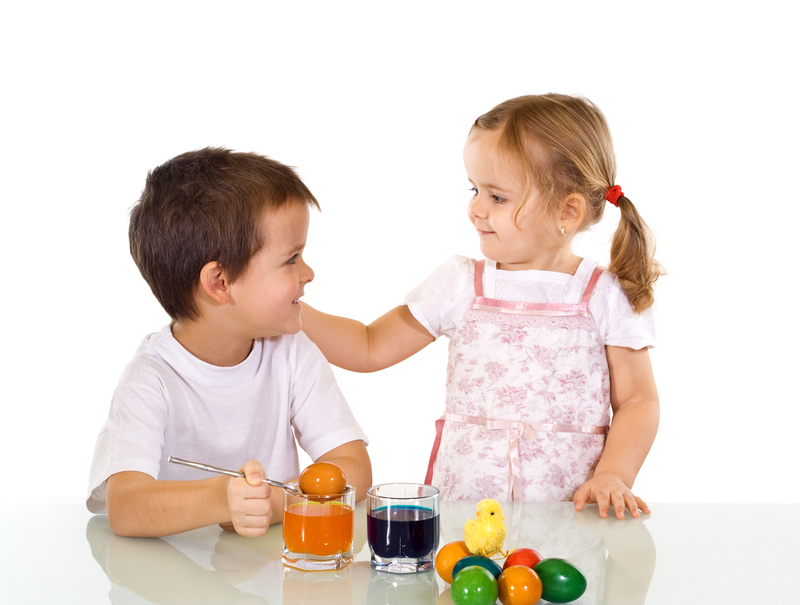 This is a simple game where children hunt for coloured eggs. 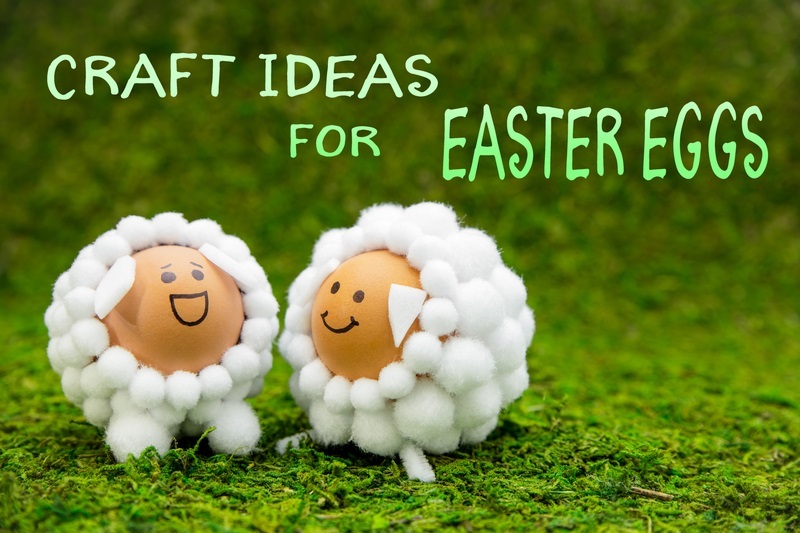 You may wish to use mini chocolate eggs wrapped in different coloured tin foil and hide them around the garden. Once all the eggs have been collected they can be separated by colour and counted – and then consumed! The humble egg is the food most synonymous with Easter. It symbolises the start of new life, rebirth and fertility. Many people associate the egg with Christian values at Easter, yet the egg also played a role in lots of pre-Christian festivals celebrated by the Ancient Egyptians, Persians and Romans. 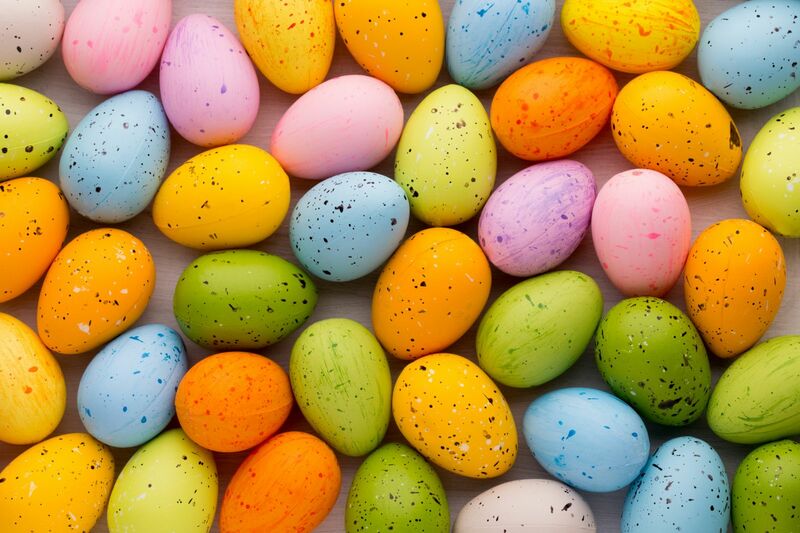 In the Middle Ages when people were unable to eat eggs during Lent they began to decorate and store them for Easter Sunday and the tradition of the egg hunt began. The first chocolate Easter eggs were made in France and Germany in the early 19th Century, and in 1873 the first British chocolate Easter egg was produced by Fry’s. Cadbury quickly followed producing a chocolate egg in 1875 and by 1892 produced 19 different types of eggs. 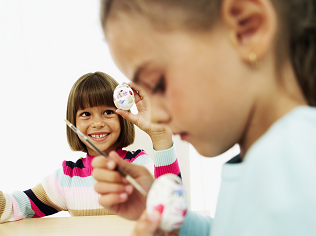 Today, the UK chocolate Easter egg market is worth more than £220 million with sales growing every year. Cadbury’s Crème Egg is the most popular and over 500 million eggs are made every year. 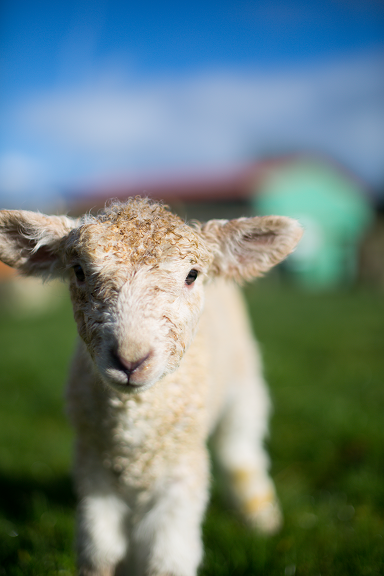 Easter trails, scavenger hunts, egg and spoon races, bottle-feeding lambs, beach cleans – you name it – there’s plenty of adventures to be had this spring. 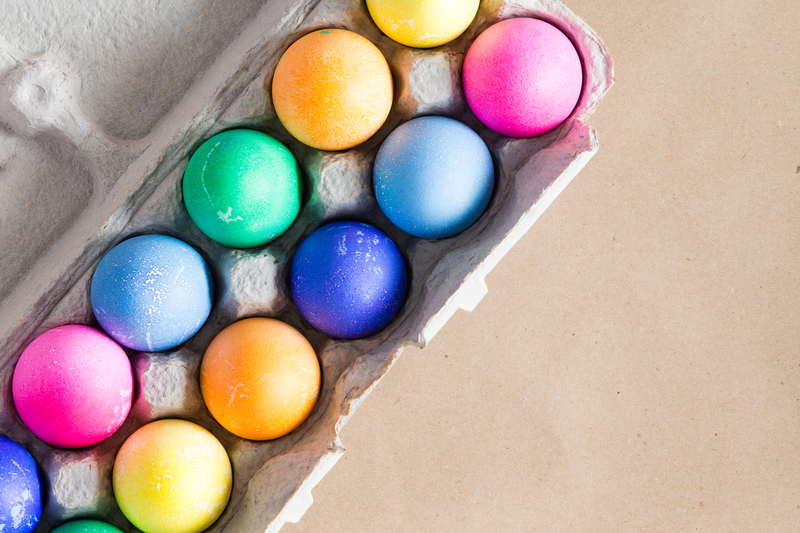 Easter Egg Hunts are usually a big hit with youngsters who simply love becoming mini-explorers and what’s more, this fun activity can be affordable. 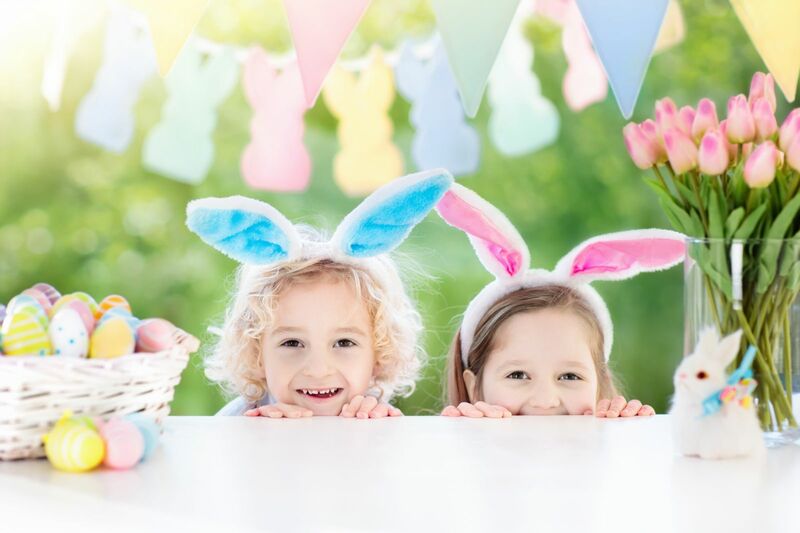 You have the choice of hosting an egg-citing Easter Egg hunt in your back garden or local park, or alternatively head to a local attraction and enjoy the novelty of the occasion with lots of other families. During the Easter school holiday, should the weather allow, go outdoors each day for some free fun. It’s easy to distract children with uncomplicated activities such as spotting and naming clouds, searching for mini-beasts or seashore critters, visiting and perhaps bottle-feeding newborn lambs, watching a spider weaving a web, and following slimy snail trails. It’s all great fun and doesn’t cost a penny! Mixing good food with lively children’s entertainment is always a winning combination and this Easter, families visiting Jamaica Inn will be treated to sumptuous home-cooked food, educational animal encounters and an egg-citing Easter Egg Hunt! Begin the seasonal feasts by treating Mum to a traditional, incredibly tasty Sunday roast lunch at the super special Mother's Day Carvery on 31 March, where every mum will be given a beautiful posy of flowers. A couple of weeks later, on Saturday 13 April, Easter holiday fun is promised when Screech Owl Sanctuary will be paying a visit with some of the beautiful birds they care for. It’s sure to be a hoot! Extra entertainment is planned for Easter Sunday, 21 April. 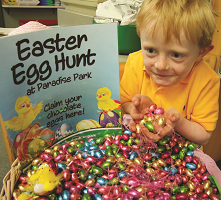 The traditional Easter Egg hunt will send families all over the garden at Jamaica Inn (weather permitting) in hungry pursuit of the hidden eggs. Plus, there will be face painting and an interesting and informative animal encounter with Mark's Ark. Delicious, traditional Easter Sunday carveries will be served – just don’t forget to book your place in advance to avoid disappointment. 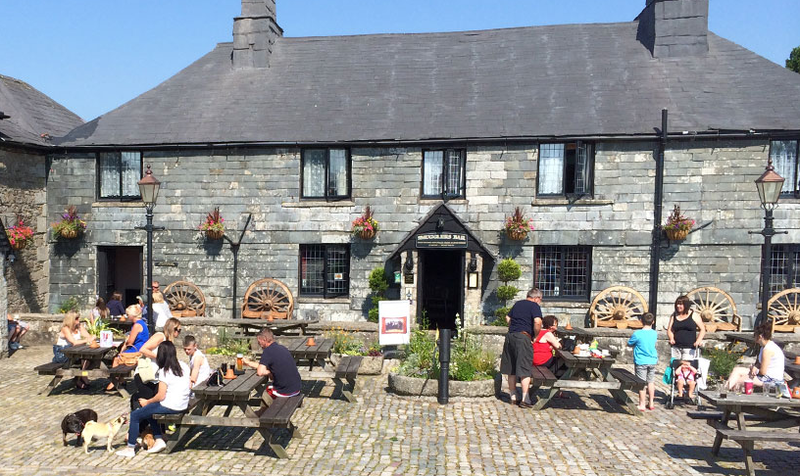 Find Jamaica Inn at Bolventor, near Launceston (PL15 7TS). For details visit www.jamaicainn.co.uk or call 01566 86250. 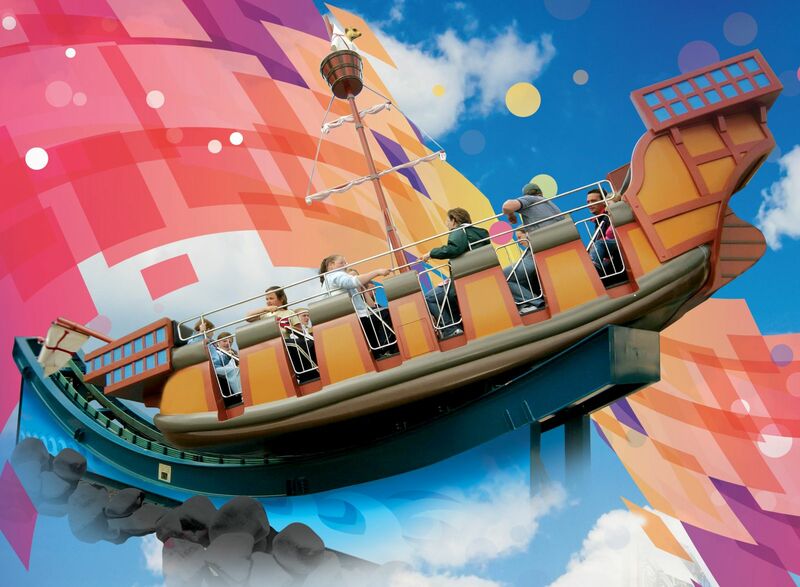 Younger visitors can enjoy experiments, explosions and a chocolate egg trail as part of an action-packed Easter at Flambards Theme Park from 6 April to 22 April. 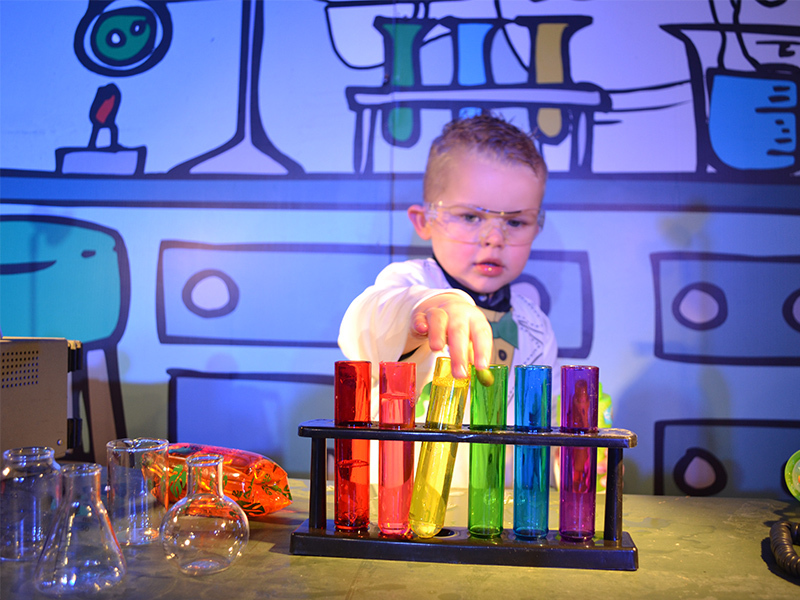 The Helston attraction is fully open throughout the holidays and will be running an ‘Explosive Easter’ event with a team of madcap scientists staging a series of explosive fun experiments in their indoor laboratory. On 21 April, Flambards’ foxy mascot Ferdi will be leading the big Easter Egg Quiz Trail. This Easter, the magnificent Golden Eagle ‘Talis’ is joining the ‘Eagles of Paradise’ flying display at Paradise Park. To celebrate her and all things golden, from 6 to 22 April, children are invited to seek out the golden egg and claim a mini chocolate egg reward in the Easter Golden Egg Challenge. DairyLand Farmworld, near Newquay, will be a cracking family day out this Easter! The whole park is open for egg-cellent Easter crafts workshops, Boris and Dazy’s egg-citing Egg Hunt, pony rides, Pat-A-Pet, fun and games in The Bull Pen giant indoor play area, plus much more. Head to Crealy for their Megga Easter and experience the biggest Easter event in Devon. This year, Crealy will be welcoming the one and only Peter Rabbit to the popular family theme park from the 18th to 22nd of April as part of their Megga Easter event. You and the family will be able to meet and greet the mischievous rabbit at intervals throughout the day so make sure you take your cameras for that golden selfie! Prior to Peter’s arrival at Crealy, there will be a Megga Easter Egg Hunt from the 15th - 22nd of April. This Easter, from 6 to 22 April, families are invited to welcome some very special new arrivals to the Heligan Estate. Twenty-nine of its rare breed ewes are pregnant and are set to give birth from 1 April, heralding the beginning of spring on Home Farm. Pop into The Barn and you may witness the miracle of birth and meet some very small new friends. There’s also a whole host of Easter activities for families to enjoy. Explore the gardens on the ‘Grow Your Own’ Trail, then head to the Easter marquee to plant a bean and begin a journey to growing your own food. 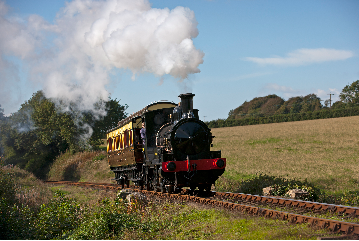 Join Lappa Valley Steam Railway from Friday 19 April to Monday 22 April for plenty of family friendly Easter fun. 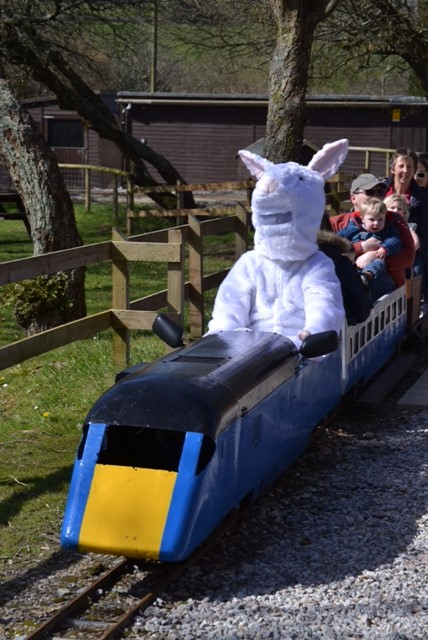 A whole host of Easter themed activities are included in the standard admission, including train rides, the annual Lappa Valley Duck Race across the boating lake and an Easter quiz trail where all children can win a chocolate egg. This is a weekend not to be missed. Lappa Valley Steam Railway will be open daily from Saturday 30 March - the normal admission prices will resume from that date. Visit www.lappavalley.co.uk for full details. Travel by steam train, from Sunday 7 April to Wednesday 24 April, and follow the trail by rail, with an egg for all children who complete the hunt. Use the activity sheet map and follow the clues to complete the trail – what can you spot along the way? Take part in the Easter colouring in and see your artwork on display – with a family ticket prize for the winner.